How “Secret” was the Earl of Oxford’s Authorship of “Hamlet” and other Shakespearean Works? William Ray: “I would say he wanted to be able to write and he wanted to gain credit, for posterity if not for the present under his own name. He knew he had Elizabeth’s protection to do that, as long as he gave lip-serivce to the fiction of anonymity/pseudonymity, the rule of the time. So it was not a matter of remaining secret 100%. ‘Shake-speare’ obviously refers to someone who could shake a spear (at Ignorance? at a knight coming toward him on a thousand-pound beast?). But that was decorously secret enough to pass with the Queen’s imprimatur. Once she was incapable, then Robert Cecil took over. No more plays after Oxford died. They were not protected. By the time the Herberts were in control of the revels, they set up for a permanent monument to them. Not the Sonnets beyond one printing. “The Elizabethan courtiers probably had no idea this set of works would become a permanent record of their time. It only offended certain of them if the connection were too obvious, like Oldcastle and Corambis. These were changed accordingly. Of course the lower orders would not and could not object that they were the laughingstock of the plays. James Norwood: “The author of Shakespeare’s works was using literature to write about his own life experience. For this reason, one critic has credited Shakespeare with “the invention of the human,” due to the depth psychology and lifelike quality of his characters. Because he was writing Hamlet and other works with autobiographical inferences, the author was compelled to conceal his identity. These works, especially Hamlet and the Sonnets, were exposing the deepest, darkest secrets of the author’s personal life. As is the case for so much of modern literature, this author may have been using the medium of poetry/drama as a kind of creative, personal therapy. “But this author was not merely keeping ‘secret’ his own identity, but the identities of the people who were the basis for many of his dramatic characters and those of his poems. To understand the unique conditions of playwriting in the Elizabethan age, it is important to keep in mind the different circumstances of plays presented privately at the court versus performances in the public theatres of London. “For example, we know a greal deal about a presentation of Twelfth Night at Whitehall Palace on January 6, 1601. The play was part of the entertainment for a visiting dignitary from Italy. Queen Elizabeth was in attendance for the play, and the name of the Italian dignitary was Don Virginio Orsino. The relationship of the characters Orsino and Olivia in Twelfth Night (a lovesick Italian courtier pining for an inaccessible and standoffish single woman) would have been a source of gentle satire for the Whitehall audience: it would have been clear to the audience that Olivia and Orsino were allegorical representaitons of the Queen and the Italian dignitary. But it would not have been appropriate for an audience in the public theatre to know the author’s intent of satire and allegory of the members of the court, especially the Queen. The theatre presentations at court were a closed, ‘hothouse’ environment and one of the rare instances that Queen Elizabeth welcomed advice and criticism. While the Whitehall audience clearly knew the identity of the author (the names of Oxford’s wife and daughter appear at the head of the guest list for the invited audience at Whitehall), the London audience would know the play only through the author’s pseudonym, William Shakespeare. “When Twelfth Night was performed in the public sphere on February 2, 1602, the deception had obviously worked. The diarist John Manningham wrote about the farcical antics of the twins (Sebastian and Viola) and the goofy character Malvolio, never recognizing the court satire of Orsino and the Queen. The small courtly audience (a maximum of 50 or 60 people?) knew the identity of the author of Twelfth Night and Hamlet. But the key for maintaining the deception was in keeping the true name of the author from being known to the public. And know another question: who many people could have know Shakespeare’s true identity? The Queen must have know too late (I don’t think she knew before, when Oxford publish “Venus and Adonis” and “Lucrece” with her as one of the main characters in both poems; and proof of this are the Rival Poet Sonnets). I think Mary Sidney and William Herbert knew, too; as well as Bacon and the earl of Derby (I think they helped Oxford rewriting his plays). This article explains a lot, although I still find it remarkable that no one managed to write a letter about his identity that has still made it to today. I’m not saying I don’t agree with it–Edward de Vere is definitely the most likely candidate by far–yet isn’t this argument similar to those made against Shakespeare? Shakespeare had no records about his authorship, therefore we doubt him. 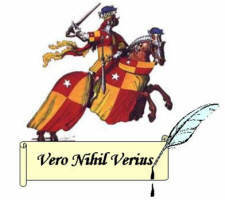 Edward de Vere also has no records, yet we can explain that by pointing out he was trying to keep his identity secret. Poor fellow, he only did too well. Sorry. Devere has loads of records. Best for comedy as a PLAYWRIGHT on several lists. Links personally to nearly every Shakespeare “influence”. Incredible “coincidental” links like Cardanus Comforte and the first use of “murder” in figurative (a Shakespeare favorite), a boatload of biographical references in the works, and the publishing history, truly begun with Burghley’s death and ends with Oxford’s. Plus, no contemporary astronomical references post 1604 . (look it up). These are just a start. You are mixing apples and oranges. One (Stratford) is the publicly proclaimed author with a 20 year history. We would EXPECT corroborating direct evidence. The other is surmised to be an author who hid his identity in an era when direct political exposure, from any source, could cost one their life. Are you aware it took hundreds of years before “Stella” in Sydney’s “Astrophel and Stella” was a real person, Penelope Rich? Think lots knew at the time? P.S. Plus the Art of English Posie which directly stated hidden authorship, of which Devere was first on the list. Much to Terry Ross’ tantrum chagrin. I’m sorry, I think you misunderstood me. I was referring to “records” as a more direct term, like a letter connecting his name with William Shakespeare or a manuscript found in his posession, two things Anti-Stratfordians notice are lacking about Shakespeare. The things you mentioned are not as direct as I wish they could be–if they were more direct, there would be no controversy at all. I agree with you however that the suggestions in De Vere’s favor are very strong, much stronger than references to Stratford or Bacon. More of what I was saying is that it’s a pity the proof in Edward de Vere’s is not SO solid that there can be no doubt. Well, yes, and where are all the letters that Oxford must have written to folks not only in England but in Italy, France, Germany, other countries? How could the Cecils have kept them all from us? There must be answers. It seems we have to do such answering, whereas the traditional Stratfordian author needs no such explanations for missing documents. It is fascinating to explore “how things worked” in those days. How did the author get hold of the needed ink and pens and parchment? How did the author make revisions, italicize, maintain storage and filing — my language only. How did “Shakespeare” get his plays to the Lord Chamberlain’s Men? And so on. Yes we would all like a definitive “smoking gun”, either way. For Strats its the FF attribution. But there are no real contemporary records for Will as an author. We can “surmise, for example, ” that (of course) Meres knew who “Shakespeare” was but there is no direct evidence inking Meres to personal knowledge of the author. If what you wanted was available it would have been discovered centuries ago and there would be no issue. There was a couple who spent years going though thousands of documents looking for Shakespeare. All they found was the prosaic Mountjoy deposition. “Now also of such among the nobility or gentry as be very well seen in many laudable sciences, and especially in making or poesie, it is come to pass that they have no courage to write and, if they have, yet are they loath to be known of their skill. So as I know very many notable gentlemen in the Court that have written commendably and suppressed it again, or else suffered it to be published without their own names to it, as if it were a discredit for a gentleman to seem learned and to show himself amorous of any good art. How much more does it need to be spelled out? in Oxford’s Bible there can be found underlined several phrases which are used in the ‘Shaksper’ works. Very good point Sandy. That’s definitely more conclusive than anything in Shakespeare’s favor that I have seen so far. I am new to this, I have only been exploring for 18 mos or so. I was once one of those who would cover my ears, close my eyes and scream LA LA LA LA LA to avoid hearing about the authorship issue. My initial,visceral response to hearing the movie Anonymous was being filmed, made me mad. Then, an old college buddy of mine told me he went to the movie and knowing that I had been a costume design major, told me I would love the sets and costumes and to go see it for that aspect alone. It rocked my world! I started googling and Amazon-ing and ordering and reading. What confuses me about the Stratfordians is this: If they have read any of the Oxfordian research – how can they remain incurious? I am reading Mark Anderson’s book for a second time (this time with the audible book as an accessory) and the section on Italy alone is enough to convince me. You ask one of the most important questions. Thanks so much for this genuine response — one that many or most or all of us have had. How can they not see? What would convince them? Well, there are categories of folks. The ones who are entrenched — leaders of the Birthplace Trust, the academics who teach and write, and so on — and for them this is a religion. I don’t mean to make fun of it at all, just to name it. It is a constructed belief system that cannot tolerate any true exploration. At a New York City lecture by James Shapiro, I asked him why so few if any Shakespeare scholars have been interested in Oxford, since he is connected to all — all — of Shakespeare’s contemporary sources (those who wrote during the 30 years or so prior to 1593). Well, no answer, except to deflect by remarking that “we don’t know anything about Shakespeare’s lost years.” Not an answer. Others are genuinely moved by the sacredness of Shakespeare, by the comforting and inspiring image of him writing at blinding speed with “imagination” (which would be based on experience as well as book learning) when the really mean “fantasy” — the bard had such great powers of fantasy that his fantasies actually mirrored the realities of Italy, etc. This is an image of the creative artist that is at stake, and it may hold for certain categories of art and artist, but not here. The vessel needs to be filled with types of knowledge, then use imagination to work it into art. Read Jonson’s remarks in the folio about the “anvil” etc., that a great writer is made not born. He was referring to someone other than the man who was born as full-blown author of masterworks. More when I get back from a conference in Oregon. Thanks again. I don’t think anything will ever be found to or from Edward de Vere. He signed his name Edward Oxenford. This is the name we should be referring to him as. He also signed E.O..
Hank, please excuse me but I feel compelled to illustrate the importance of blazoning the name Edward Oxenford across everyone’s mind. Where will hitherto overlooked letter from the Earl or about him turn up? In the forgotten trunk in the attic? As wall fillers evening up an old wall when someone renovates a historic house? Or fillers padding up book covers or some other recycled use people of a more frugal age used paper for. Here is a hypothetical example of where that “smoking gun” may be found. Suppose someone in the past when paper/parchment was a more expensive and less readily available commodity, went rummaging through old family papers in the attic in the course of researching their family tree. The nostalgic one comes across awonderfully written old letter written by a fellow that cannot be traced to their family but the trunk is full of pertinent family memoirs. The beautifully written old letter is ignored or used for it’s perfect, clear B side to draw up the family tree – perhaps even in an attempt to place this unknown man, Edward Oxenford within the family history. He may not fit in clearly because the letter is addressed to a family ancestor and he is not a forefathers. Because the name is not known the letter remains a neglected oddity in the family cache. The likelihood of such a regrettable scenario is limited if the name Edward Oxenford was part of a universal consciousness, a household name. It’s a good point, Stella. I believe Oxenforde was his way of reaching back to the most ancient forms of the Vere lineage, the way it may have been spelled on formal occasions (or informal, for all I know). Did other earls of Oxford use Oxenforde? Thanks for the comment. Who would you consider the most influential modern anti-Stratfordians? It seems like everyone has an opinion about this, nobodies and somebodies alike, but who are the ones that are more widely recognized and respected? I’m doing a speech on the Shakesepare authorship debate and I need a person to listen to my online class for a presentation on anti-stratfordians, but I’m not exactly sure who to look for…nobody I know really cares. Anti-Stratfordians would include Diana Price, author of Shakespeare’s Unorthodox Biography, and some more recent authors, but Diana is best. Oxfordians (who are also anti-Stratfordians, of course) would include Roger Stritmatter (look him up on Amazon (a new forthcoming book on the Tempest), on the Shakespeare Fellowship website, and on his blog about Shakespeare’s (Oxford’s) Geneva Bible. Also Mark Anderson, author of Shakespeare By Another Name. Charles Beauclerk, author of Shakespeare’s Lost Kingdom. And Hank and Stephanie Hughes.